Thank you again for The Shrub Doctor's generous $1,000 in-kind sponsorship for Wing Haven's 2015 Fall Symposium Continuing the Legacy: Bird Dreams and Verdant Themes held October 21-22, which raised a net of more than $37,000 for our programs and operations. Your donation enabled more of the events proceeds to benefit the Wing Haven garden properties and our education and outreach programs, including PEEPS (Preschool Environmental Education Program) for at-risk schoolchildren. Wing Haven is proud to carry on the intent and wishes of Elizabeth and Eddie Clarkson at Wing Haven and of Elizabeth Lawrence at her wonderful garden laboratory by offering a sanctuary in nature for people and wildlife. The Shrub Doctor's gift helps to preserve and maintain these two special gardens on Ridgewood Avenue. We appreciate your partnership in preserving Wing Haven with your excellent services to our garden shrubs and helping us to promote a renewed connection with nature. Please call Development Director Susan Evans 704.331.0664 ext. 108 with any special visit requests or questions about Wing Haven and its programs for children and adults. "You guys are the rock stars of plant care!" 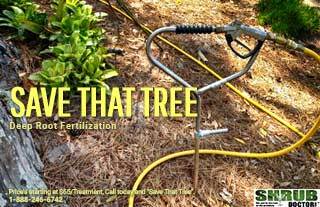 We have been with Shrub Doctor for almost a decade now. We are totally satisfied with the products they use to enhance the overall health and look of our plants. Shrub Doctor is reliable and always willing to come out ASAP if we spot an issue. They are a company of high integrity and I highly recommend their services! A cousin of mine suggested using Shrub Doctor to me because he knew how much I love my yard. In the spring I have a yard full of blooming azaleas that I had been putting Hollytone on twice a year. This was becoming quite a job for me as I get older and since using Shrub Doctor it is one I no longer have to do. I have found Mark to be a pleasure to work with. We have used Shrub Doctor for 9 years and have proof of the value to our landscaping. A row of trees was planted across the back of our property and our neighbor’s property by the developer. The Shrub Doctor has cared for our trees and they are at least twice the size of our neighbor’s. In fact, many of our neighbor’s trees have died and ours are tall and lush. I look forward to the Shrub Doctor’s visits. We always get useful information regarding the health of our landscaping and the treatment applied that day. I highly recommend the services of Shrub Doctor. Shrub Doctor Mark has been providing us excellent service at our home since it was built. He brings a specific knowledge base essential for our site. The dozens of mature hardwoods and the professionally designed landscaping have thrived under his care. Most important, Mark is an advocate for preventive care and is always available to discuss best practices. We would not consider any other provider of these services. 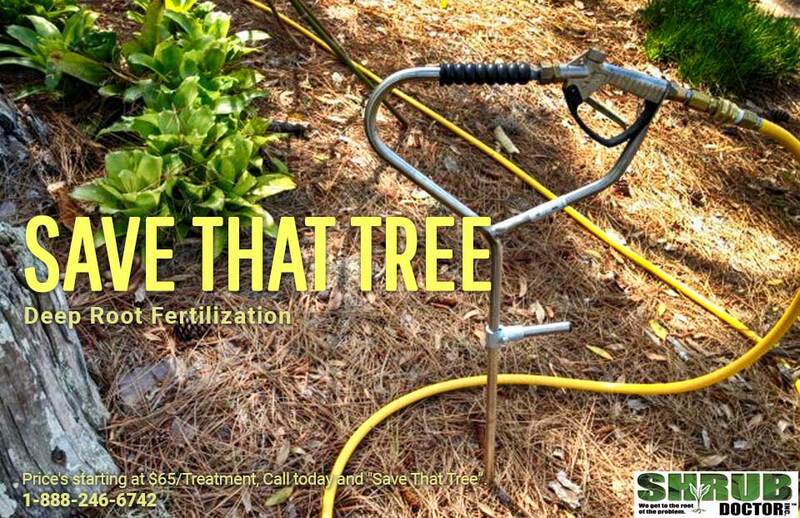 The value of Shrub Doctor and Organic Lawns for our backyard space has been the application of treatments that counter act the extremes of weather, temperatures, and pests before they become a problem, not after it is too late. Plus, unlike most large operations, they have listened and taken their time doing applications while on premise. We endorse them and their service. My husband very carefully selected trees and shrubbery for our home. Later he lost his vision and could no longer see how to care for them. Then we found the Shrub Doctor. No longer do we wonder what is needed to be done. Mark provides excellent care. After each visit, if we have not seen him at work, we find a personal note attached to our statement regarding the status of our trees and shrubs. We are most appreciative to have someone with integrity and knowledge of the organic culture to care for our property. It just doesn't get any better than the Shrub Doctor! We moved to Charlotte a year ago and purchased a 16 year old house. The previous owners had spent a fortune on yard maintenance but that only created lots of problems with the trees and shrubs. We were recommended to the Shrub Doctor by our landscaper. They have been great. They explain what the challenges are and the solutions in a straight forward manner. They show up when promised and reply to my emails in a timely manner. It is delightful to know that I can trust them to keep my yard looking great.